Primary Inspired: An Easter Pinning Party!! & a winner! An Easter Pinning Party!! & a winner! I have so many awesome pins on my Easter pinboard. I'd love to take a peek at more Easter pins! 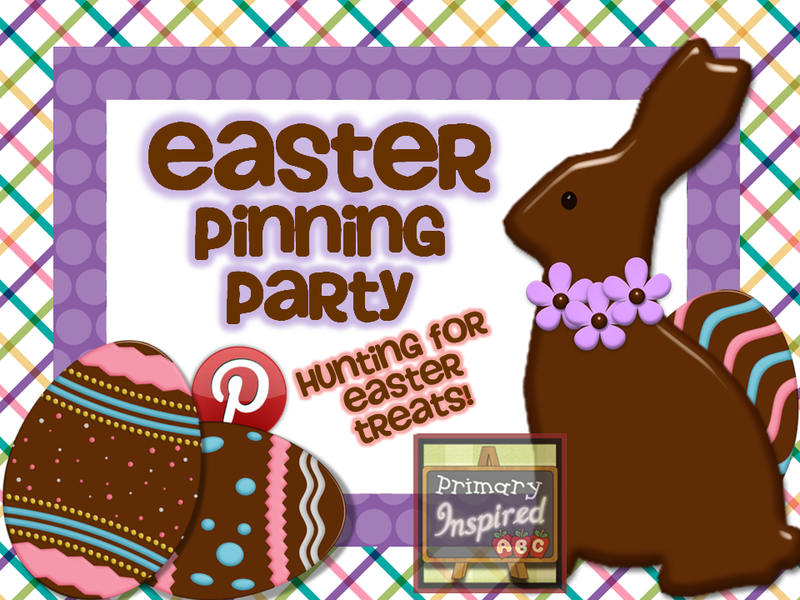 I'm hosting an Easter Pinning Party!! Please link directly to your Easter Pinterest Board. Please grab the button and post info about the pinning party on your blog with a link back to this page. Feel free to pin the button, too! Remember---- you don't have to have a blog to share your pinboard! All you need to do after clicking the "Add You Link" button, is type in the URL of your pinboard, then type in your name & email. That's it! Link up & pin away! the winner of Learning Resources' Hear All Assessment Recorder!